then it’s off to sign up for 2019 ! and audiobook loans. Plus the many services offered. before the library has ordered new releases. I am delighted it is currently at 111! and I still have several on hand yet to read – happy! Find my library reading goodreads shelf for titles. Are you a library patron? What features attract you to your library? Are the staff personable? available? helpful? Do you go there as first response or last recourse? I’d love to know about your library experiences! Are you an audiobook listener? are you hesistant to try? Maybe you did try and it doesn’t fit your reading interests. there are options for anyone willing to try audio listening . I’m back for more. I do love the versatility of audios. all while enjoying a story or gaining info on a variety of topics. which keeps me going as a Marathoner. and if you’ll join the Challenge for 2019, at which level. of discussion on the majority of my posting. to share thoughts, reactions, responses, suggestions, ideas at FHC. May your Thanksgiving be Abundant ! Blessings on you and yours . . . The FuN is Back ! Visions of Sugar Plums = reading with wee ones ! beginning November 19th and ending December 2nd. as they both begin November 19th. I’m In! and tracking my reads right Here beginning Monday November 19th. Share yours by signing in and add your Christmas Spirit ! #CSReadathon 2018 Progress . . .
You’re Doing That in the Talent Show?! Thanks to Michelle for hosting ! 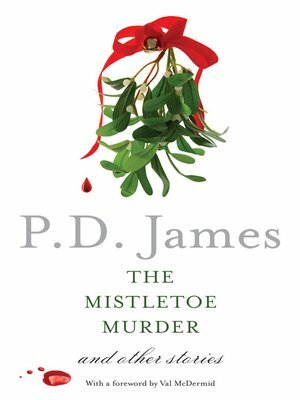 Four stories included in The Mistletoe Murder definitely held surprise endings! 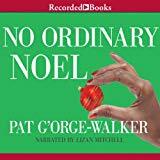 No Ordinary Noel offered diversity in situation and voice – new to me author + narrator. Knock, Knock You’re Dead by MC Beaton surprised me by her ability to put everything needed for a mystery into such a short piece of writing. Hadn’t heard of this Hamish story before and happy to have found it at my library’s online site. 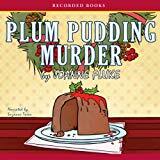 Plum Pudding Murder‘s cover caught my attention and the recipes added to the holiday appeal. Part of the multiple mystery series by Minnesotan author, Joanne Fluke. 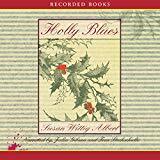 Holly Blues had the addition of suspense to this Texan mystery of Susan Wittig Albert. 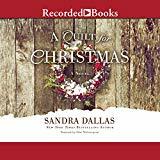 A Quilt for Christmas, a Civil war story by new to me author, Sandra Dallas, held additional historical interest of slaves in their attempts to be free and depicted women as they struggled to maintain diminishing daily life . 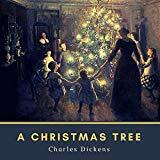 Charles Dickens’ A Christmas Tree classic of 1850 seemed unusual, moving from an account of gift giving celebrations to superstitions and supernatural stories of the area. 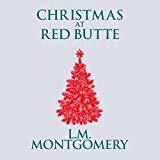 L.M.Montgomery’s heartwarming story of family on the Canadian prairies offered a happy note of Christmas past via Christmas at Red Butte. A majority of my reads are audios allowing me to catch up with online work and wrapping up challenges etc before year end. Thanks Giving for that option ! * I’ve also updated the goodreads I SPY CHALLENGE for this new year of reading. I’d love to see which books you SPY ! More Festive FuN queued for week two . . .
set in an English village – 2 more in series follow. How’s your #CSReadathon lining up ? I look forward to hearing how it’s going – which FaLaLaLaLa movies have you watched? I’ll have to get a list of possibilities from you in comments. If you care to share – Thanks for inspiring! Find more reading each week and add your own week’s readinglink . An added perk of the 2018 #HoHoHo Readathon? It offers several Christmas themed challenges. and that we have personally photographed. I hope you’re inspired and will show off your holiday book beauties ! Definitely festive for the wee ones sharing our celebrations! and full exterior festive decor on this holiday enovel cover shot of a library download. I hope you’ve enjoyed my few samples of festive holiday covers. Which covers appeal most to you? Are you drawn to particular cover styles? art – photography – characters – graphics – etc ? and it’s world wide response of 7000+ poppies. and we’d love to hear more of this inspiration. this momentous occasion. . .
preparation of our reading selections. Be sure to check them out for all the info on participation . We’ll look forward to hearing them in comments . . .